Kevin Spacey is now subject of a second criminal investigation by Scotland Yard. According to Variety, investigators are now looking into a sexual assault that allegedly occurred in the London borough of Lambeth during the time Spacey worked as artistic director of the city’s Old Vic theater. “The allegations are of sexual assaults against a man (Victim 2) in 2005 in Lambeth. Officers from the Child Abuse and Sexual Offenses Command are investigating,” the Yard said in a statement. Investigators said the perpetrator is thought to be the the same man involved in an alleged assault that took place in 2008 in Lambeth. 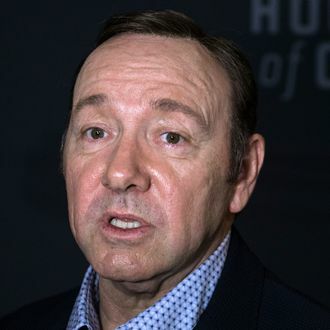 Though the Yard does not identify victims or alleged assailants, Spacey is understood to be the subject of both investigations. After Anthony Rapp and other men came forward to accuse Spacey of sexual assault and harassment, he was dismissed from House of Cards, removed from Ridley Scott’s upcoming All the Money in the World, and is the subject of an assault investigation on Nantucket. London’s Old Vic Theater has said it received 20 complaints regarding Spacey’s sexual misconduct.